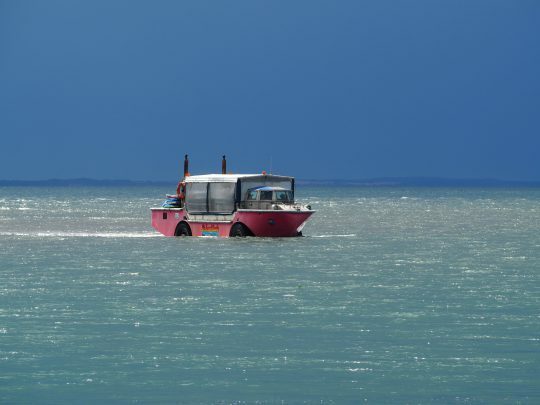 Agnes Water and The Town Of 1770 – our 4 night adventure! Agnes Water and The Town Of 1770 is located approx 5 hours drive north of Brisbane. We’ve got so many friends who visit each year and we knew it was a place we wanted to visit with our family to see what all the ‘hype’ was about. When I say ‘hype’, I mean that all my friends rave about how family friendly the town is and that the laid back atmosphere. We needed to experience this for ourselves. After contacting VisitAgnes1770 we arranged a hosted stay for 4 nights. Some of the activities we were invited as guests but most of the activities we did were self guided and free of charge – hiking, 4 wheel driving & fishing just to name a few. 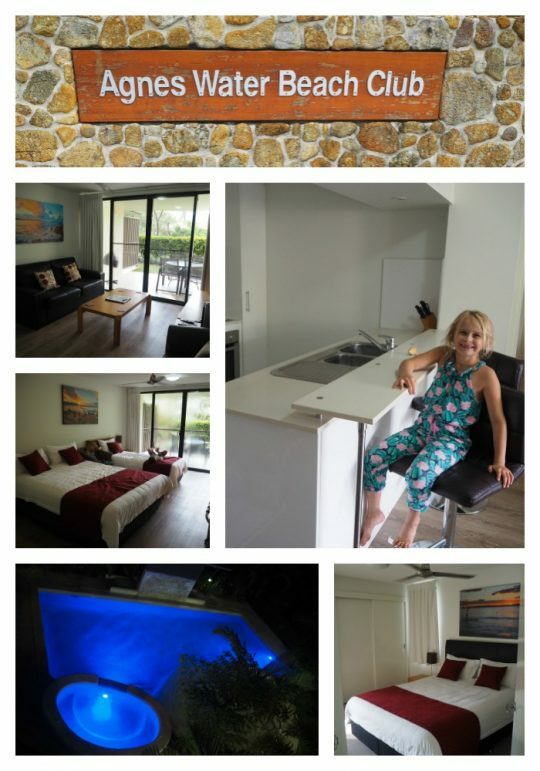 We were guests at Agnes Water Beach Club and were thrilled with our accommodations. We stayed in a two bedroom fully self contained unit. These units are very modern with everything you need to accommodate the family. It’s close proximity to the famous Agnes Waters beach and Restaurant’s made it a great home base for our adventures. Find all their booking information here. The kids LOVED their beautiful pool – we enjoyed a swim every afternoon which made a great way to unwind after all the adventures of the day. There are some awesome BBQ facilities right by the pool too – making it really hard to find an excuse to dine out! We all felt relaxed and at ‘home’ at the Agnes Water Beach Club. We had heard amazing things about Agnes Water & The Town of 1770, it honestly was above and beyond all our expectations. I’ve put together a list of our favourite places here. I’m sure there are many parts that we didn’t get to experience on this trip, we can’t wait to return and explore more of these magical townships. 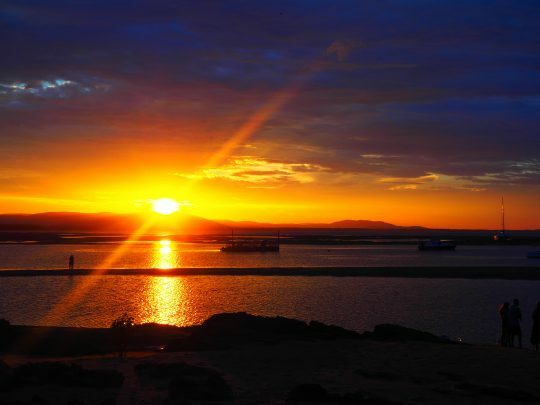 10 TOP THINGS TO DISCOVER IN AGNES WATER & THE TOWN OF 1170! We decided to adventure down this 4 wheel drive track on the way into Agnes Water. We were impressed with how the scenry changed at various parts of the track. We stoped at a lookout around the midway point and then continued on to the camping areas and coastline. What a beautiful place! The waters were crystal clear and we were treated to the sight of an early afternoon thunderstorm brewing out to sea. We loved this spot so much that we returned again on day 3 to enjoy some fishing with the family. You can read more about it here. 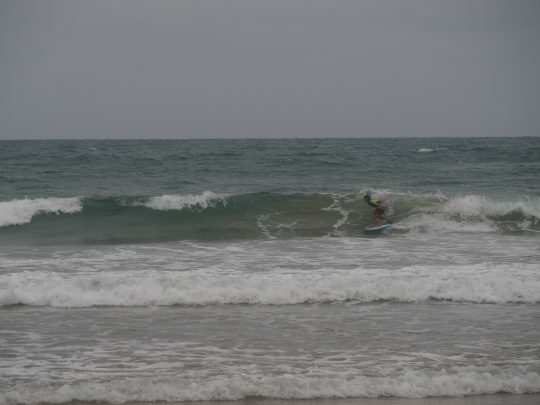 Agnes Water is known as the furthermost northern surfing beach in Queensland. It’s a beautiful location to stop and spend the day with a great playground and beautiful beach. We enjoyed breakfast at a small cafe near the beach and then walked the length and watched all the surfers enjoying the beach. 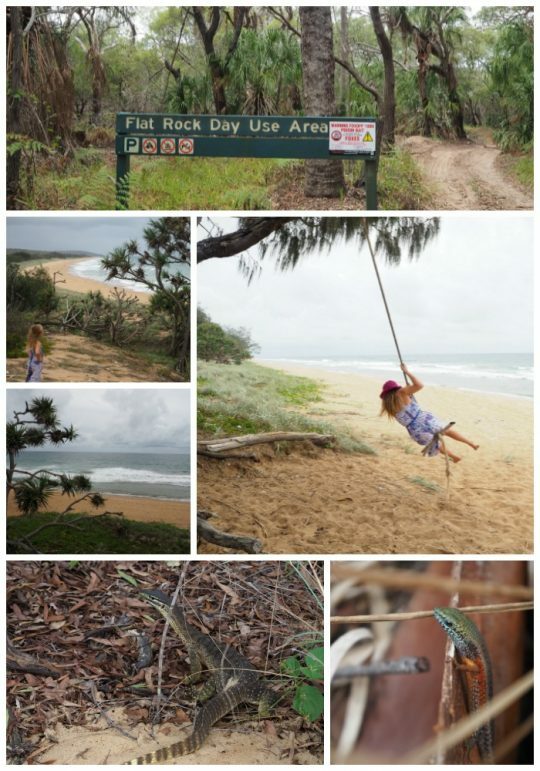 This walk was recommended to us by the amazing volunteers at the Agnes Water Visitor Information centre (a great spot to stop and find all the locals secret spots). It was a little hard to find at first as there aren’t any large signs directing you to it – probably adds to it’s charm though. 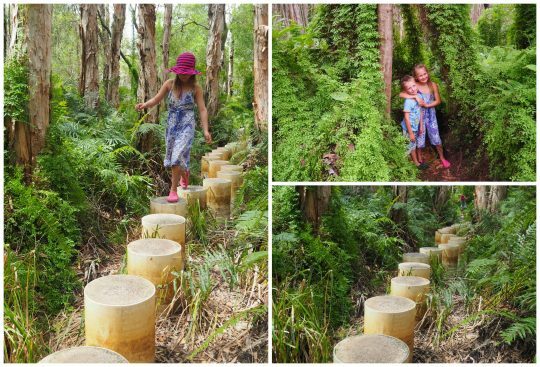 This is a very short walk through some amazing paperbark trees, there are incredible concrete stepping stones that we all enjoyed walking across. The stepping stones lead to so e wooden plank paths which just make the whole walk seem so magical. Apparently when there’s been recent rain the stepping stones are just above the water, we really hope to come back and experience that next time. Please do this walk – you won’t be disappointed. 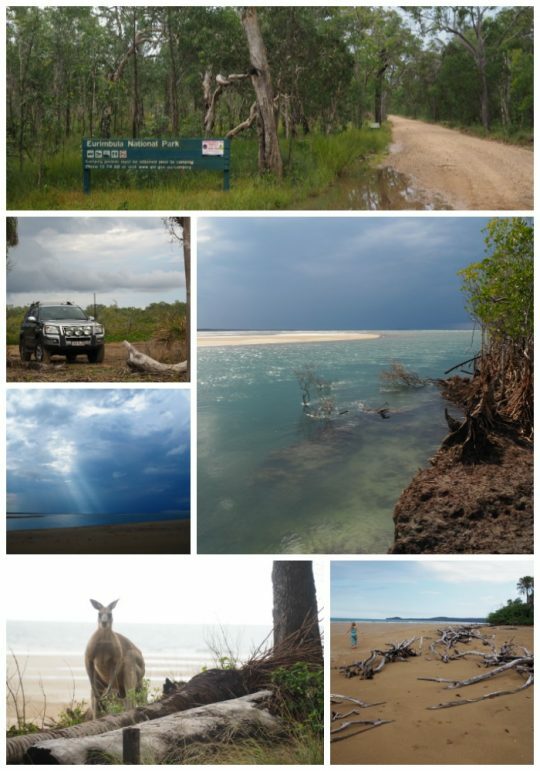 This is another amazing 4 wheel drive track that takes you to several beautiful and remote beach/camping spots. We found an old rope swing on the beach and enjoyed all the beautiful views at each location. You can read more about it here. We loved the small coastal town vibe that 1770 offers. We enjoyed strolling along the boardwalk along the marina at Sunset, they’ve also got another great playground (fully fenced) with some trendy BBQ facilities. It was wonderful to see them used by family groups all enjoying the sunset. We also did the walk around the headland and visited the Rock Cairn that commemorates the first landing of the “Endeavour” in Queensland at Bustard Bay. It stands on the site where one of Cook’s crew carved the date on a tree near where they came ashore in May 1770. The 1770 Marina is home to both the LARC and 1770 Reef tours, easily spotted on the left as you enter the township. We enjoyed breakfast at the Marina Cafe and learnt you can buy fish food for $2! Our kids LOVED feeding them off the jetty – their were thousands of fish! Definitely call in and do this with the kids. This is truly a MUST DO. We were guests on their Paradise Tour and had THE BEST DAY!! You will learn so much on this exhilarating tour! Check it out here. Lady Musgrave Island has been on my wish list for a long time! I’ve been admiring photos shared on Instagram from travel bloggers and knew this needed to be on our travel list. 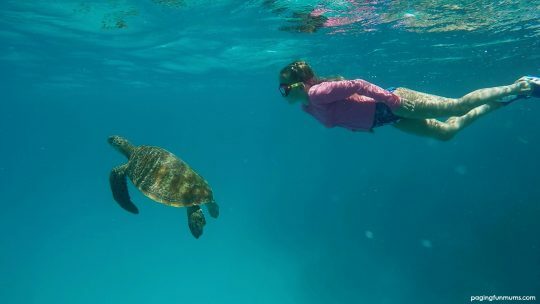 I have swam on much of the Great Barrier Reef but I’ve NEVER seen so many friendly turtles! This will be a trip our family will never forget. You can read all about our day trip here. The calm waters of 1770 are perfect for Stand Up Paddle boarding! Did you know that 1770 is home to the famous Chris de Aboitiz, former tandem surfing world champion and pioneer of stand up paddle boarding in Australia? You can even book a private tour with him and his amazing SUP Dogs! They have a massive range of boards to hire including the peddle SUP! Check out their website here. 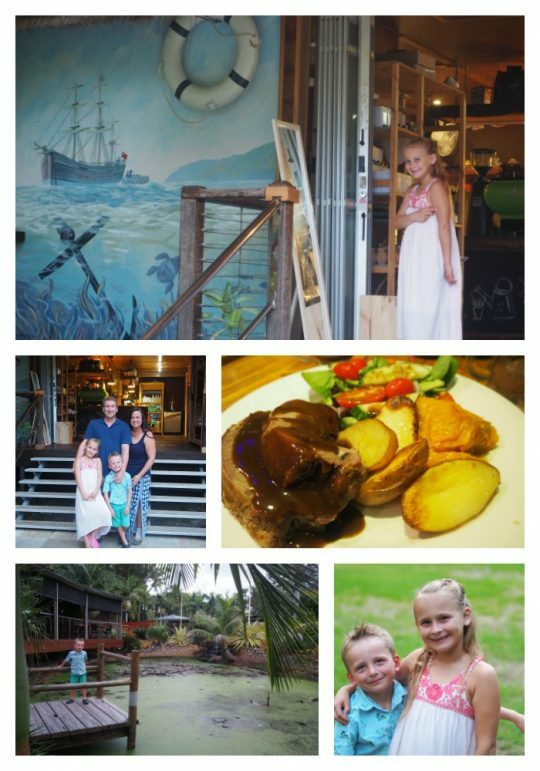 1770 Getaway ‘Garden Cafe & Restaurant – Roast Lamb Night! We were invited to dine here and were thrilled that we arrived early for our reservation, the gardens are breathtaking and we really enjoyed exploring them before our meal. They do a special roast on the spit on a Wed & Sun and we can highly recomend it! The kids also loved their gourmet wood fried pizzas. Click here to read more and see all their opening times. 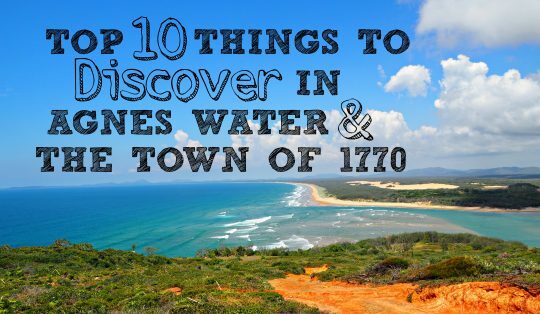 I hope you love these suggested activities in Agnes Water & The Town of 1770! We can’t wait to return to explore and enjoy the town, it’s friendly people, amazing history and and beauty scenery more. Be sure to follow Visit Agnes 1770 here on Facebook and here on Instagram to keep updated on upcoming events. You can also follow Agnes Water Beach Club here on Facebook and Instagram. We look forward to sharing more family friendly travel destinations in the future. Simon from All 4 Adventure! 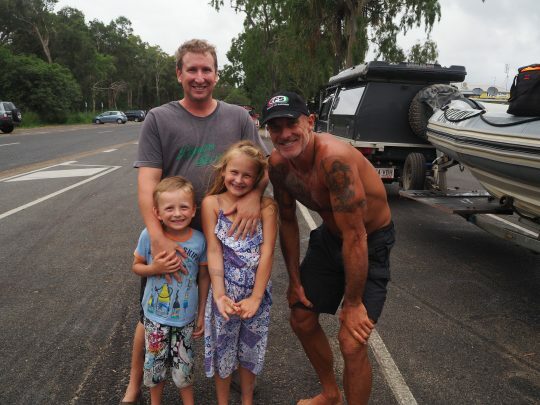 PS – We ran into Simon from All 4 Adventure whilst we were in town! The kids were so excited as we all love watching their adventures as a family! He was super friendly and happily agreed to have a photo with my Hubby and the kids. If you don’t know of them check out their website here. « Funny Mother’s Day Mugs – so many great gift ideas!